HoudahSpot will hide all files where the path has an additional slash after /Users/pierre/Documents/. That is all files located in a subfolder. Only top level files remain listed. The “*” serves as wildcard. It matches any number of characters. In this case: a sequence of characters followed by a slash. I.e. an extra folder name in the path. 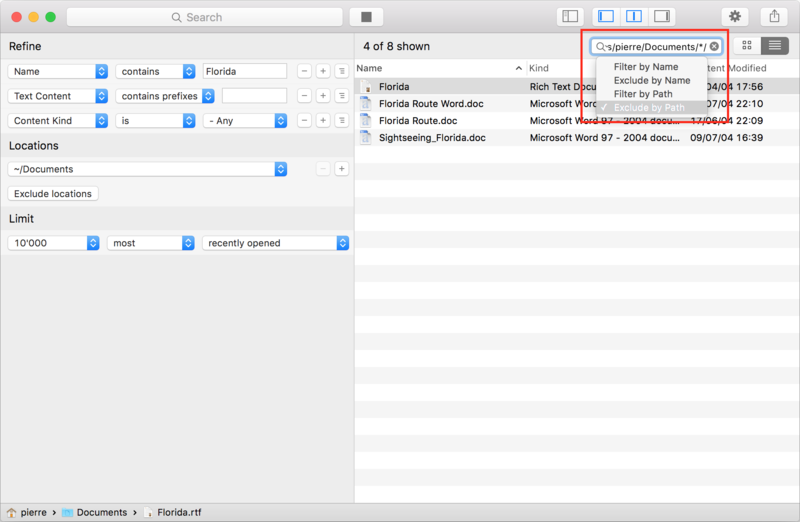 You can simplify the procedure by dragging the Documents folder from the breadcrumb path at the bottom of the window to the active filter field. You then just need to type the extra “*/”.